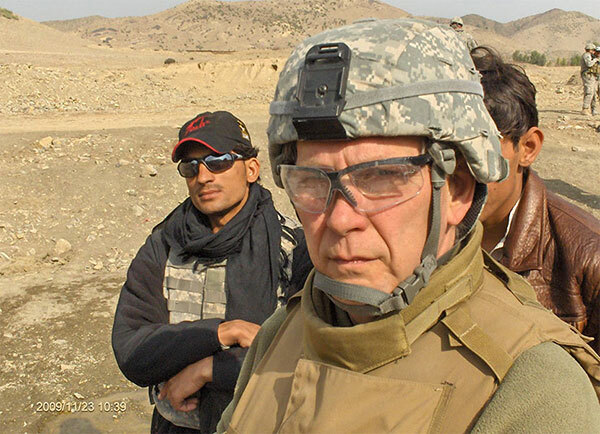 So says Doug Wissing, our town’s reigning expert on the situation on the ground — and in the hills — in war-torn Afghanistan. He reminds us our fight in that central Asian land is our longest-lasting and most expensive foreign entanglement by far. 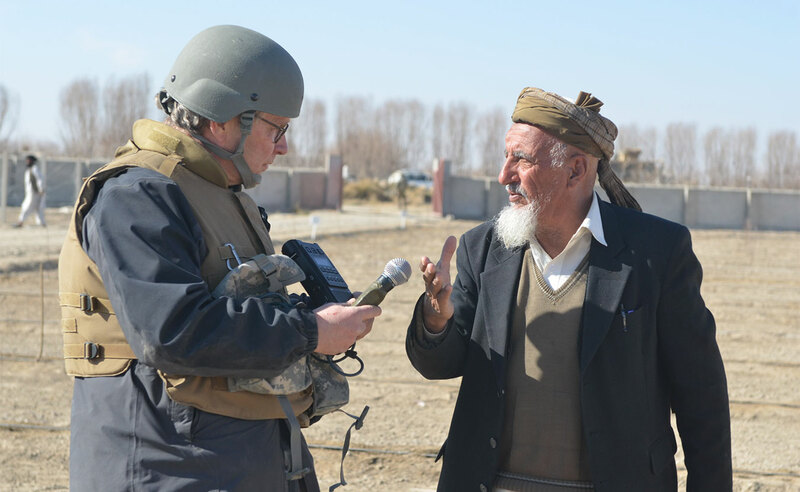 He’s spent plenty of time there, embedded with agribusiness development teams — combat troops offering Afghan mountain villagers the chance to transform themselves into good old, down-home farm boys. Problem is, according to Wissing, the Afghans are not altogether pleased with our unbidden visits and unwelcome offers. 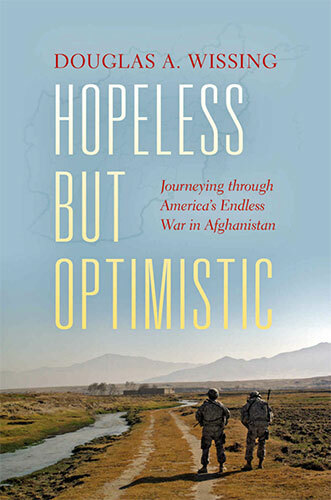 He’s spelled out the folly of the war in two books, Funding the Enemy: How US Taxpayers Bankroll the Taliban (Prometheus Books, 2012), and Hopeless but Optimistic: Journeying through America’s Endless War in Afghanistan, recently published by Indiana University Press — both scathing indictments of the blood and money swamp that is Afghanistan. One day several years ago, Wissing read an article in the International Herald Tribune (now called the New York Times International Edition) about teams of National Guard soldiers specializing in farming. The article mentioned an Indiana agribusiness team, giving him the idea to write an article on that unit. Wissing tracked it down, and when he met its members he was so impressed that he asked if he could travel with them to Afghanistan. He’s met and embedded with several such teams since. 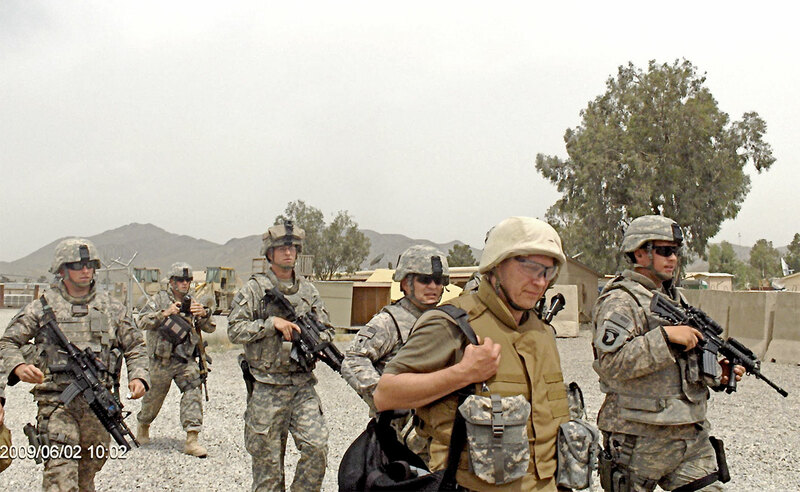 Wissing donned the tawny tactical clothes of the front lines, and strapped on the same types of helmet, goggles, and body armor his soldier-hosts wore. He hooked the same kind of first-aid kit and multiple tourniquets to his webbing. He watched and listened as the development teams dropped in on the Afghans. The Vincennes native is convinced that money and countless lives have been wasted. He points out that in 2001, Afghanistan ranked near the very bottom in many human development indexes, like life expectancy, literacy, electricity, and so on. Today? After receiving well over $100 billion of US taxpayer money on aid and development — more than the Marshall Plan, adjusted for inflation — Afghanistan still ranks near the bottom in those areas. It takes a remarkably focused and committed researcher to unearth the facts, inconvenient and otherwise, about the morass in Afghanistan. Wissing from a very early age showed signs of that kind of concentration. 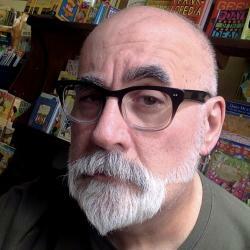 “I grew up in the great era of print literature,” he recalls. “In Vincennes, this tiny little town, I read four newspapers a day. The Carnegie Library was about two blocks from my house. I could walk there from the time I was six years old. There were two big streets I had to cross.” He spent countless hours at the reading tables, closing up his books only when the librarian, Miss Batman, wanting to go home, tapped him on the shoulder. No Replies to "Big Mike’s B-town: Doug Wissing, Embedded Journalist"